FOREX TRADING GUIDE: HOW DOES OIL PRICE AFFECT THE CURRENCY MARKET ? HOW DOES OIL PRICE AFFECT THE CURRENCY MARKET ? In the civilized world,oil is the primary source of energy, and a day without oil is almost impossible. Most of the beginner forex traders ignore the role of oil in forex trading. I was introduced with the effect of oil price in forex trading after six months since I started forex trading. The oil price in international market is determined by the demand and supply of oil, and unlike the currency market no central banks play any remarkable role to form the policy in oil market. The producers of the oil are in the supply side and the consumers of the oil are in the demand side. Which countries are in the supply side of oil market, and how do they affect the oil price? 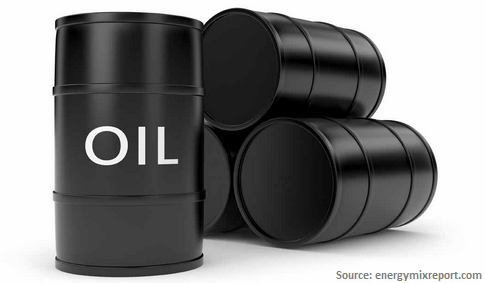 Oil producers are in the supply side of oil market, and they play vital role in determining the oil price. Saudi Arabia, UAE, Iran, Iraq and Canada are some of the top oil producers of the world. Decision regrading oil production by the producers, any risks/ uncertainties and opportunities that increase or decrease the oil production affect the oil supply in the market, hence the oil price. In recent time, we saw how the Iran nuclear deal open a door for Iran to supply more oil in the international oil market, which dramatically decreased the oil price. When the oil production increases, oil supply increases, and the oil price decreases.On the other hand, when oil production decreases, oil supply decreases, and the oil price increases. To understand the complete supply side of oil market, we should search for the latest list of top ten oil producers and exporters of the world. Which countries are in the demand side of oil market, and how do they affect the oil price? Consumers of the oil are in the demand side of the oil market, and they play significant role in determining the oil price in the international market. 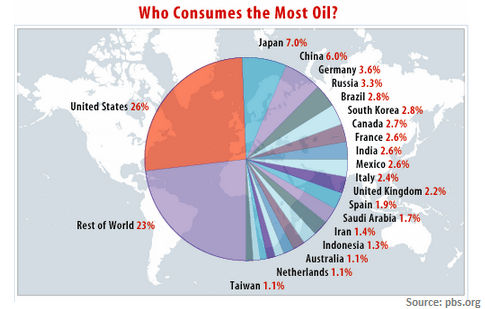 United States, Japan, China, Germany and Russia are the top oil consumers of the world. If the demand for oil increases, the oil price also increases, on the other hand, If the demand for oil decreases, the oil price also decreases. How is the currency market affected by the oil price? The currencies in demand side in oil market, are negatively correlated with oil price, that means if the oil price go up, the value of the currencies in demand side go down. Unlikely, The currencies in supply side in oil market, are positively correlated with oil price, that means if the oil price go up, the value of the currencies in supply side also go up. For example the Japanese Yen and US Dollar are in the demand side of oil market because Japan and United States are the two of the top oil consumers of the world. So with the increase in oil price, the US Dollar and Japanese yen go down. In other side, Canadian Dollar is in the supply side of oil market as Canada is a net oil exporter, as a result with the increase in oil price Canadian Dollar become bullish. In currency market, major currency pairs are highly affected by the oil market because they contain the US Dollar, and US is the one of top oil consumers of the world. How forex traders should analyze the oil market? We, forex traders, should perform three activities to simply analyze the oil market. Firstly, we should track the news that affect the demand and supply of oil, the news that explain the global political stability and instability and the current demand and supply data of oil. Dear Traders, this post explains the effect of oil market on currency market. In my next posts, I will write how individual currencies and currency pairs are affected by the oil market. You can drop a comment below to join the discussion with other traders, and subscribe yourFXguide to receive updates directly in your inbox. Currency Online Trading is much popular. But it not easy to make money with Currency Online Trading, it need understand of market and knowledge of trading. To produce matters easier, Forex markets reference forex by pairs, with names that combine each different currencies being traded, or "exchanged," against the other.